The Sta. Rita Hills is a unique wine growing area that has proven itself to be one of the great viticultural areas for producing top quality Pinot Noir and Chardonnay. For those not familiar with the region, the first word in its name, “Sta.” must seem peculiar. As you probably guessed, it is an abbreviation for “Santa”, and the region is always spoken about as the Santa Rita Hills. But since 2005, it is written about only in its abbreviated form “Sta.”, due to a trademark claim made by a Chilean wine producer by the name of Vina Santa Rita. Sta. Rita Hills is a beautiful place to visit with its small towns that express their European heritage and rural charm nestled among beautiful rolling hills. Though top quality wines have been produced there for almost half a century, it is only recently that it has gained the recognition for producing world class wine that it richly deserves. 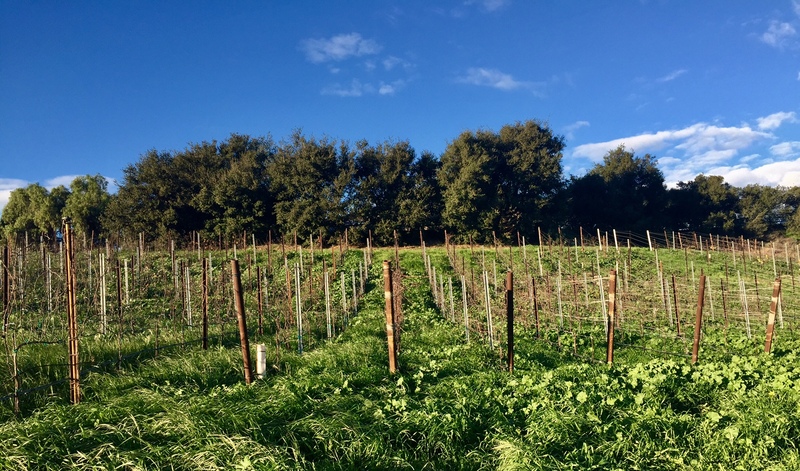 This article will offer you some background information to help you understand what makes the Santa Rita Hills so special. That Sta. Rita Hills is an American Viticultural Area (or more commonly referred to by the initials “AVA”) that is found in Santa Barbara County, about 100 miles north of Los Angeles just inland from the Pacific Ocean. The AVA was founded in 2001 thanks to the hard work of local pioneers Richard Sanford, Rick Longoria and Bryan Babcock. These three winemakers recognized the uniqueness of this terroir and set out to have it receive its own designation. In 2016, amid some controversy, the boundaries of the AVA were expanded. The AVA now covers 30,700 acres in the Santa Ynez Valley. About 2,700 acres are planted to grape vines. Pinot Noir and Chardonnay dominate with 2,100 and 500 acres planted, respectively. The balance is planted to 18 other varieties that include, Barbera, Sauvignon Blanc, and Syrah among others. A wine region develops its own signature through the interplay of a number of different factors. In the Sta. Rita Hills, there is one factor that sticks out and above the others for its influence and that is its unique climate. Even though the Sta. Rita Hills AVA is located in Southern California, it paradoxically has a cool climate. In fact, Sta. 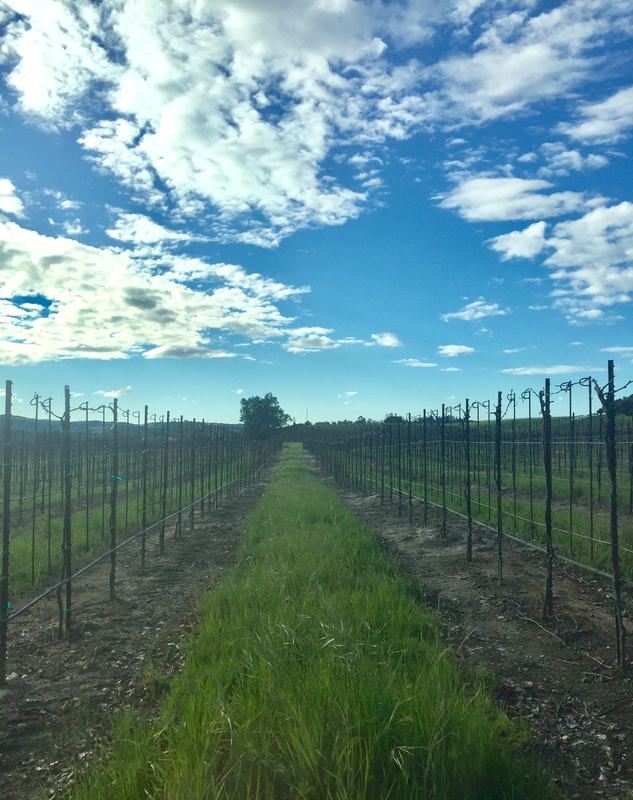 Rita Hills enjoys a cooler climate than just about all of its northern neighbours: cooler than Napa and Sonoma, even cooler than Washington State. The reason for its unusually cool climate is the unique direction that the local mountains run. Throughout the rest of North America, and South America too, the direction that the mountain ranges run is north-south, parallel to the western coast line. The mountains that run parallel to the coast line create a barrier between the ocean and what sits on the other side of the mountains. Cool, moist winds blow off of the ocean and cool the lands they hit. When the mountains block the passage of this cool air, the other side is hot and dry. Further up the California Coast in Paso Robles, the temperatures there are much higher, for just this reason, even though it sits several degrees of latitude higher. The mountains prevent the ocean’s cooling influence from reaching inland. 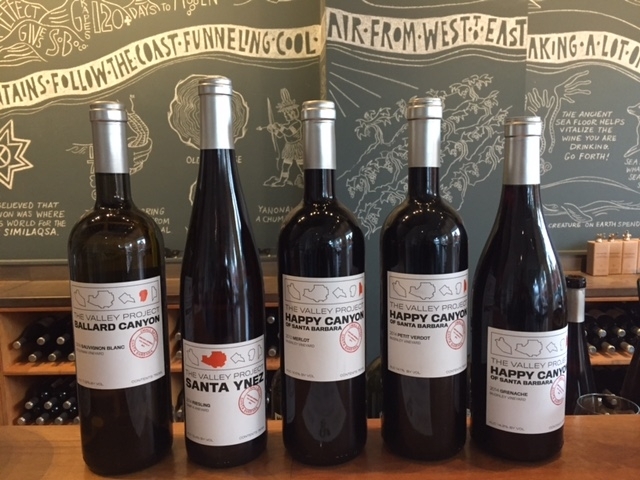 The same is true north of San Francisco where the inland regions of Napa and Sonoma experience much higher average temperatures in the growing season. The cumulative heat a growing region experiences is measured in degree days, the amount of which will vary from year to year. Sta. Rita Hills typically experiences about 2,300 degree days. Washington’s Columbia Valley will experience about 3,000. Sonoma will get 3,200 and Napa around 3,600. Sta. Rita Hills degree days are more comparable to Oregon, 2,300 and Burgundy, 2,200. This cooler climate results from the mountains having changed direction, uniquely in this area. Here the mountains travel east-west and create a funnel to guide in the cool air of the Pacific Ocean, just 19 miles away. When you look at the map above, you see the Sta. Rita Hills AVA finds itself in the unique position of having the Pacific Ocean about 15 miles away; both to the south and to the west. The Santa Rosa Hills which run east-west, separate the AVA from the ocean to the south. 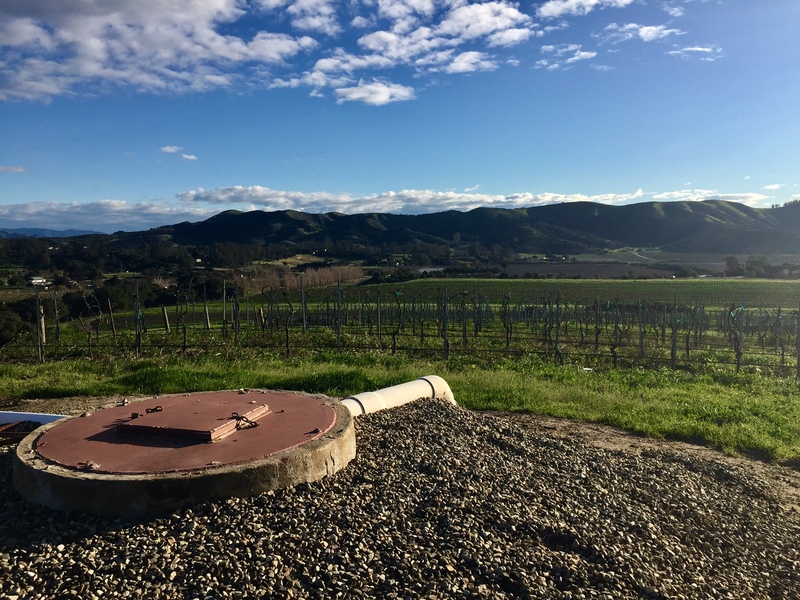 But to the west it is open to the ocean and those hills, together with the Purisima Hills to the north, create the funnel that allows the cooling influence of the Pacific to be felt. The result is moderate temperatures without many heat spikes in summer, little worries of freezing in the winter. Sta. Rita Hills enjoys North America’s longest growing season, usually 125 days. Cooler temperatures, plenty of sunshine and a long growing season mean the grapes will almost always ripen fully. However, it is a drier climate and irrigation must be employed. Winemakers we spoke with in the Sta. Rita Hills told us they could pick anywhere from early September to late November. One told us he had even picked in December. That long hang time can make for ripe, robust wines, dark in colour with powerful flavours. In its early days, the AVA was known for taking full advantage of the length of the growing season to make big, impactful wines. The style attracted both fans and critics, as is always the case. Our recent experience with the Pinots from the region is that winemakers in general are showing a little more restraint. 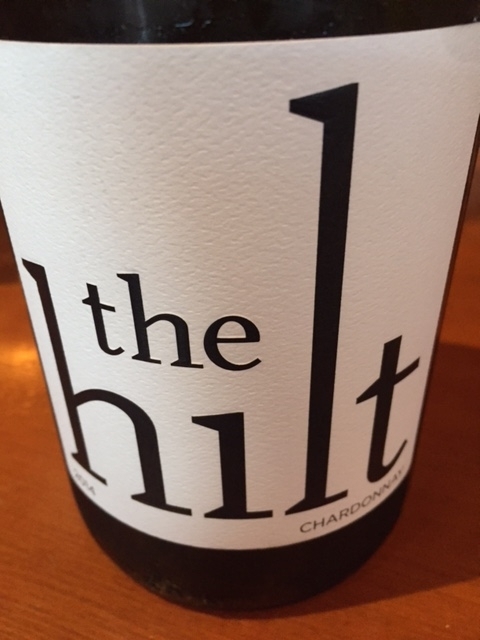 The big “Syrah-Lovers Pinot” is less prevalent; what we noticed were well balanced wines that showed ripe character while retaining Pinot’s trademark typicity of an elegant mouthfeel. Good acidity and mineral notes provide balance to the fruit forward character. The Chardonnays are just as balanced, combining opulence and stone fruit flavours with juicy acidity. The soils of the AVA are quite diverse, but share a common trait of being marine-based with abundant calcium. Sandy structures create good drainage and the lack of nutrients creates small, intensely flavoured berries. 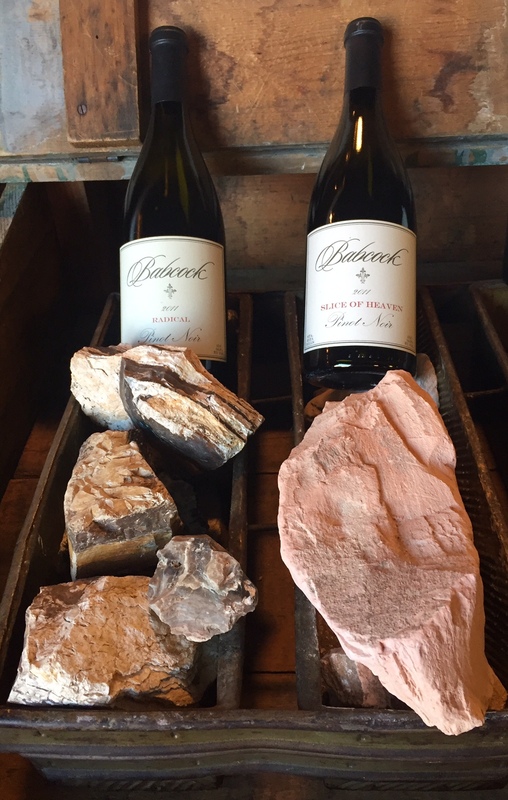 The region’s Pinots definitely reflect their soil in their earthy finish and slight notes of salinity. This makes the wines of the region more complex, a trait that increases with time in the cellar. I really didn’t get in to wine until I moved to Europe. Now I’m dying to discover more US wines and Santa Barbara is one of the areas top of my list. Thanks for these recommendations of where to visit in that region. Nice article. I never knew that tidbit about Chile, interesting. I’ve always wanted to visit this region and now I really want to go. Melville wines are awesome.